And while the division or dissolving of NATO most certainly would benefit Russia - removing a malignant and aggressive rogue institution from its borders and the toxic atmosphere of perpetual confrontation it creates - it would also most certainly benefit each and every NATO member many times more. Despite the many myths surrounding NATO's role in "protecting" its individual members, nothing has undermined the security of NATO member states more than NATO itself. The reality-show that is American politics has increasingly depended on institutionalized reverse psychology - where a notion that fundamentally appeals to Americans of all political persuasions is passed through "Trump" to create automatic and irrational aversion in at least some segments of the public. A US withdrawal from an expensive, antiquated, and repeatedly abused military alliance allegedly created to keep in check a Soviet Union that no longer exists is one such universal notion. 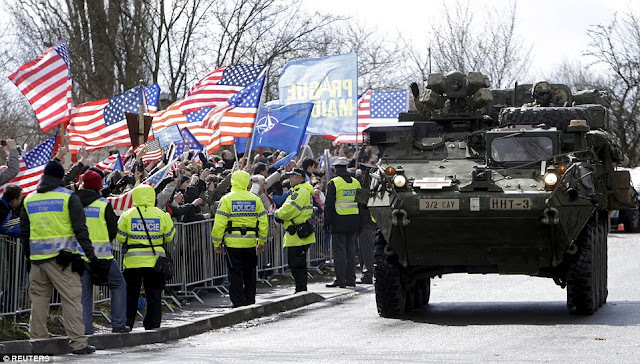 To polarize debate around the otherwise clear-cut benefits of reducing or dissolving America's role in NATO, "Trump's" alleged desire to withdraw from the alliance has been emphasized, and specifically within the context of "Trump" being an alleged agent of "Russian" influence. 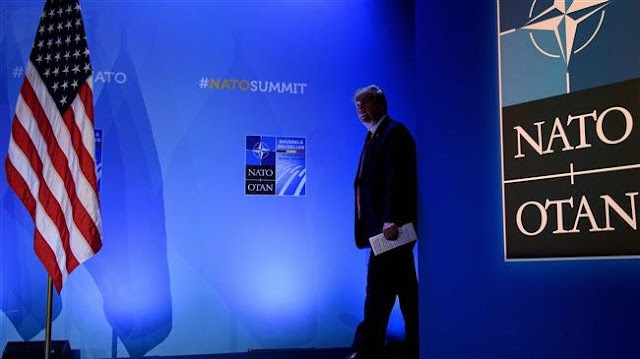 But the truth of NATO's actual purpose and the very real threats it poses to global peace and stability is independent of one's like or dislike of US President Donald Trump. Far from confronting a Soviet - or now "Russian" threat - NATO instead is used to leverage and abuse Europe's collective political and military power to augment US wars of aggression far beyond the North Atlantic where NATO was supposedly created to protect. 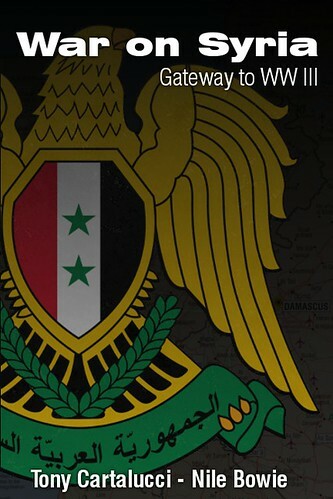 ...guarantee the freedom and security of its members through political and military means. Considering this stated purpose, one must wonder what the now 17 year-long US-led NATO occupation of Afghanistan has to do with the freedom and security of NATO's American and European members - who must cross oceans and seas just to reach Afghanistan - a nation that poses no threat to any of NATO's members nor possesses the means even if it sought to. The ongoing occupation of Afghanistan has seen the rise of terrorist organizations previously unheard of in Afghanistan, including the emergence of the so-called "Islamic State" (ISIS) who use the nation as a springboard to spread across Central Asia. The conflict has bled NATO members of billions in funds and has claimed the lives of NATO member soldiers. NATO atrocities including the bombing of civilians with manned aircraft and unmanned aerial vehicles (UAVs), torture, and other abuses have further tarnished NATO's reputation as well as consumed the political legitimacy of many individual NATO members involved. Another recent NATO action was in Libya in 2011. 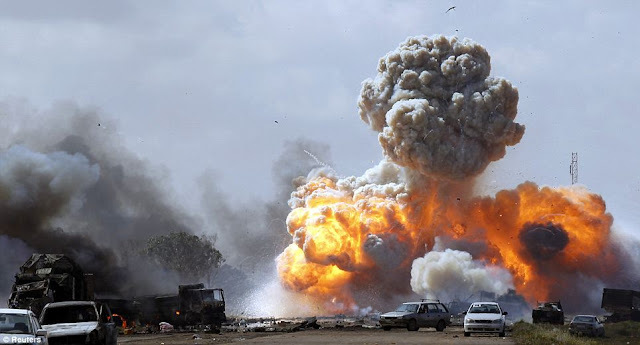 The destruction of Libya triggered a refugee tidal wave that swept Europe, compromising socioeconomic stability and domestic security within the very heart of NATO's supposed area of responsibility. NATO is revealed as a geopolitical wrecking ball - knocking down - not upholding regional or global security. The resulting chaos is then used as a pretext to further expand its mandate. Its actions have repeatedly compromised its many member states in ways even the most tenacious outside threat could not. 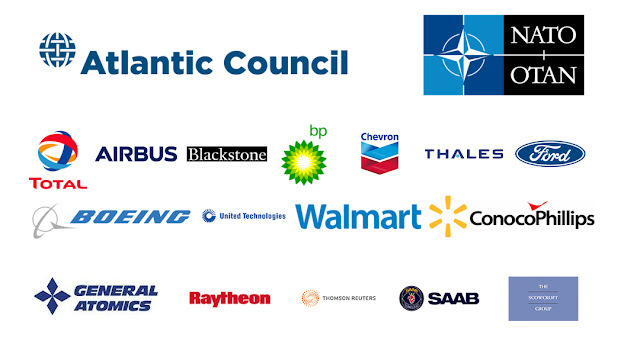 The beneficiaries of NATO's actions are few. Taxpayers across NATO member states have contributed trillions of dollars to the Afghan occupation alone - $5.9 trillion according to a Brown University study. This money has not simply disappeared into a fiscal blackhole. It ended up in the hands of arms manufacturers and military contractors. This is money that regardless of political persuasions - the public of NATO member states would likely want either spent elsewhere - especially domestic social programs, or not drawn from the public through taxes in the first place. The handful of corporate-financier interests benefiting from NATO's continued existence have leveraged the massive gains they've received from the many unending wars and security threats the alliance has created around the globe to manipulate public perception - just as it's doing now in regards to the "Trump-NATO withdrawal" narrative through compromised newspapers like the New York Times. Ironically, those along the left-hand side of America's political spectrum - generally inclined to seek public funds shifted from foreign wars toward domestic social programs, have been recruited in this latest and crude propaganda ploy to actually defend NATO and the immense waste and abuse it represents. The basic premise behind NATO is sound - a collective military alliance that creates a credible deterrence against foreign aggression. Were NATO to actually put this premise into action - it would create a balance of power within which better ties could be cultivated with nations like Russia. The notion that Russia is a looming threat seeking to swallow up Europe is at face value an absurdity. Russia heavily depends on trade with Europe - according to the European Commission itself. Moscow has eagerly sought to improve ties with European nations collectively and individually to further expand its own economic prospects. A credible military deterrence coupled with attempts to cultivate economic cooperation rather than military confrontation would benefit the economies of both Russia and the European Union - but not American corporate-financier interests - including big-oil struggling to compete with Russian gas exports to Western Europe - and especially not America's massive military industrial complex. Such Russo-European cooperation would also obstruct the hegemonic designs of US policymakers who have for decades sought to carve up and conquer Russia militarily and economically. It is an irony among ironies that while NATO rhetoric points at Russia as a foreign aggressor seeking Europe's conquest - it is American forces finding themselves on the soil of a growing list of European nations - up to Russia's borders - in order to "protect" NATO's interests - interests increasingly revealed to be Wall Street and Washington's rather than Europe's. The New York Times links "Trump's" alleged desire to withdraw from NATO to allegations that US President Donald Trump is somehow an agent of Russian influence. The article repeatedly iterated that a US withdrawal from the alliance would be a "gift for Putin." Despite such rhetoric - the end of NATO's many wars of aggression, ending its role in destabilizing nations and demonstrably compromising global peace and stability as well as undermining European security itself, and ending its pilfering of trillions in public funds from individual member states falls well within the best interests of Americans and Europeans - left and right of the political spectrum. Only trough crude propaganda ploys citing "Trump" and "Russian meddling" could people be convinced otherwise. NATO seeks to aggressively encircle, contain, and eventually overthrow the political order in Moscow - not because Moscow poses a threat to the security of NATO or any of its individual member states - but because it constitutes competition for the actual corporate-financier interests driving NATO's agenda. Far from speculation - this is precisely what the US and UK attempted to do in the wake of the Soviet Union's collapse - a process of pilfering and commandeering Russia's sovereign institutions only brought to an end by the rise of Russian President Vladimir Putin. If NATO's division or dissolution benefits Russia - it also benefits the nations Russia will be able to deepen constructive and sustainable diplomatic and economic ties with outside the atmosphere of confrontation NATO seeks to perpetuate. It is a win-win for all - all save for corporate-financier interests attempting to not only assert themselves over Russian economic competition - but also over European economic competition. 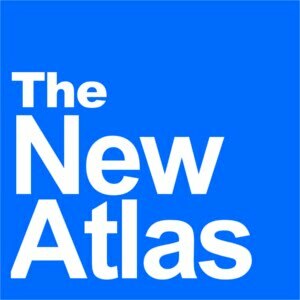 The New York Times - a tool of American corporate-financier interests and central to selling the American public the many fruitless - and criminal wars - fought under the auspices of NATO - could not be expected to approach NATO's proposed division or dissolution with anything other than hysteria. For the New York Times and the interests its represents - it truly is a matter of self-preservation. But for vast majority of people and businesses in NATO member states - a serious reevaluation of NATO's necessity and the need to eliminate this antiquated alliance is also a matter of self-preservation.